Our client was traveling home from school on a bus when some good-natured ribbing began on the bus. The subject of the teasing stood up and reached for his rear pocket as if to get out a knife. One of the passengers on the bus claimed he saw a knife. Our client and his friend, who were teasing the boy who stood up, also saw the knife. Overview: Client, age 17, and friend punch and kick classmate, leaving him unconscious, client charged with two strikes, case resolved for no strikes and Home on Probation. At the next stop, our client and his friend followed the boy with the knife off the bus. The bus then continued on its route. Our client and his friend continued the teasing until the other boy stopped and turned toward them as if to fight. Our client’s friend then punched the other boy in the face, knocking him down. He then kicked him in the head. Our client joined him, kicking the boy on the sidewalk. He later admitted to kicking the boy three times while he was on the ground. The boy was taken to Torrance Memorial Hospital, which described him having a chipped tooth and a concussion. Police arrested our client and the other boy the next day at school. The police had spoken to four other students and one parent, all who claimed they witnessed the fight. Our client’s family was overcome with anxiety when police told them they were planning to charge our client with three counts of assault with a deadly weapon (his foot) and by means likely to cause great bodily injury (the chipped tooth) and serious bodily injury (the concussion). 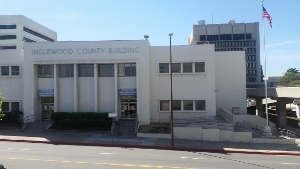 The juvenile court district attorney out of the Inglewood Courthouse followed the Redondo Beach Police Department’s recommendation, charging our client with three felonies, two with strikes. The three felonies were for violations of Penal Code § 245(a)(1) (Assault with Deadly Weapon), one was of § 245(a)(4) (Assault with Deadly Weapon) and one was of 243(D) (Battery). Our client faced four years maximum on each count, plus three additional years on each count for an enhancement due to the great bodily injury, for a total of 21 years in custody. The probation department initially determined that our client was ineligible for probation due to the seriousness of the charges, unless it was found that this was an extraordinary case. The initial offer was 180 days in camp, followed by 30 days of community service and three years of probation. The client would also have to admit to a strike offense. Greg Hill then proceeded to show the prosecutor it was an extraordinary case. It took multiple talks with the supervising prosecutor of the Inglewood Juvenile Court, but eventually, the plea bargain was reduced to no camp and no strike. The client was permitted to plead to a violation of Penal Code section 243(d), which is not a strike for a juvenile. It was a major breakthrough for the client, who would consequently be able to complete high school on time, although the plea bargain required him to perform 30 days of community service, attend ten anger management classes and serve 90 days on electronic home monitoring and house arrest when not at school, doctor’s appointments or community service. The client and his family were very relieved not to have a strike on his record and he was eligible for reduction of the conviction to a misdemeanor upon completion of one year of probation. What Is Home on Probation?